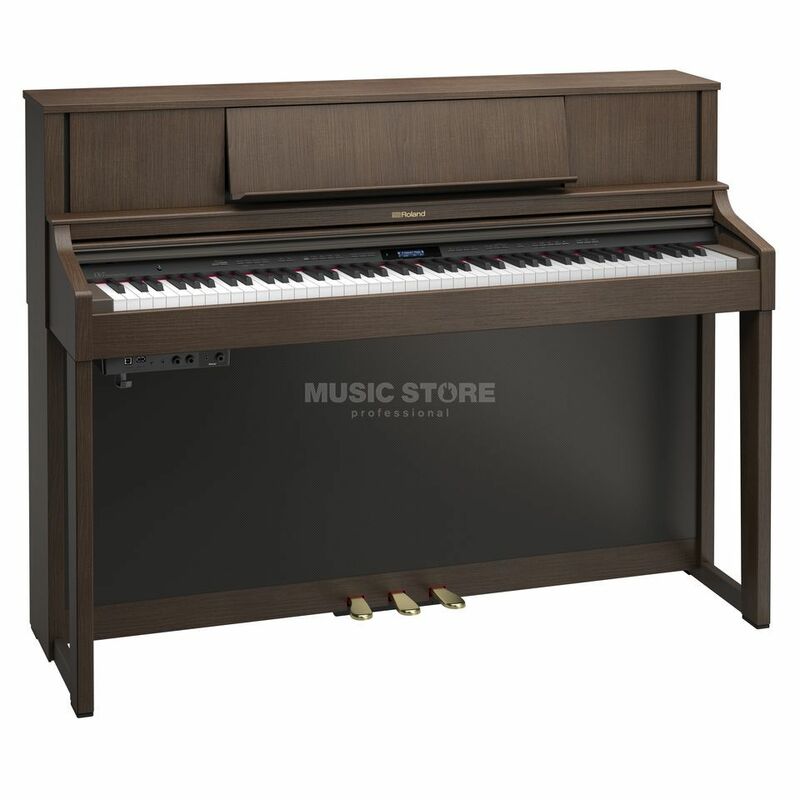 The Roland LX-7 Upright Digital Piano Dark Walnut is an upright digital piano, featuring 88 keys PHA-50 keyboard wood plastic hybrid, with a dark walnut finish. The LX-7 is powered by the latest version of Roland's acclaimed SuperNATURAL Piano Modeling technology, along with a unique keyboard that blends wood and molded materials for great feel and durability. The LX-7 connects via Bluetooth technology to your smartphone or tablet so you can hear your music-making apps or online piano lessons through the powerful six-speaker sound system. And even though it’s compact, the classically-styled LX-7 will definitely make a big impact in your home. The SuperNATURAL Piano uses the latest modeling technology to recreate, rather than replay, the sound of a piano note. The unique modeling process spans the entire sound creation process of a typical piano including the combination of notes played, their resonance and the way in which the piano’s many elements interact with each other. The result is a rich, complex sound - complete with overtones - that actually changes in response to the way you play. Roland’s Acoustic Projection speaker system reproduces the rich, immersive sound experience of an acoustic grand piano. The LX-7 houses a three-way, six-speaker system, and each section fulfils a specific role in delivering superior piano tone. The powerful cabinet speakers produce the all-enveloping main piano sound, while the top-mounted spatial speakers reproduce the resonance of the piano’s frame. The LX-7 has a new type of keyboard that blends wood and molded material for the best of both worlds; beautiful wooden sides give each key a familiar, rigid mass. Each key has a stabilizing pin to ensure the vertical travel of the key is smooth and precise, avoiding the sideways key movement and noise experienced when playing glissandos on some pianos.